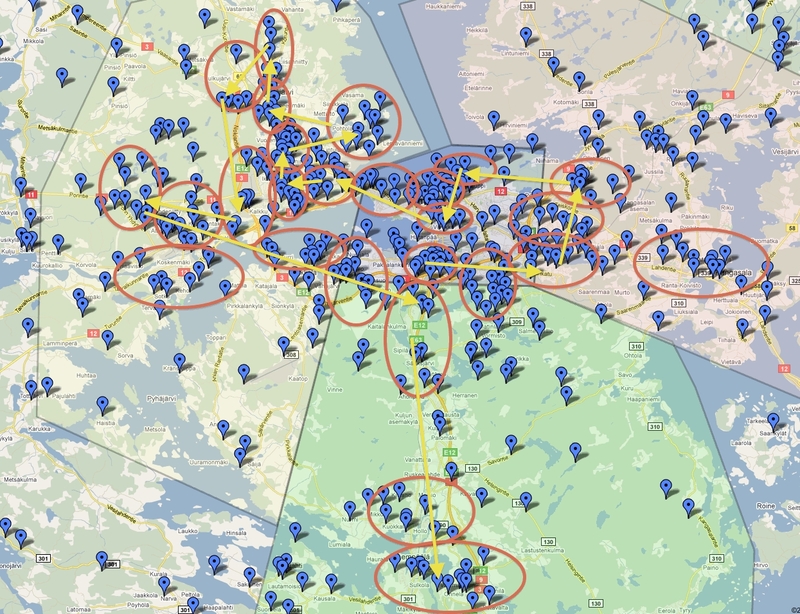 A rough plan to find geocaches in Tampere area. I (tr1976), together with Petri (Peetu & family), Heikki (jasso76) and Jimmy (kji), succesfully completed a 24h geocaching marathon last Saturday, 7th of August, 2010. The idea for the event was probably a few months old. Planning started in June by voting for suitable dates. A few weeks before the actual date the planning started to get into speed. We had picked Tampere area, as it had probably the best density of caches and none of us had been extensively caching there. In 50 km radius we found almost 700 traditional caches with D/T = 3/3 or less none of us had found yet. We split the area into four, and each of us looked through the caches in his area, bookmarking ones that could be found somewhat quickly. Then we had a rough idea where we should start and approximately how we should proceed through the whole greater Tampere area. 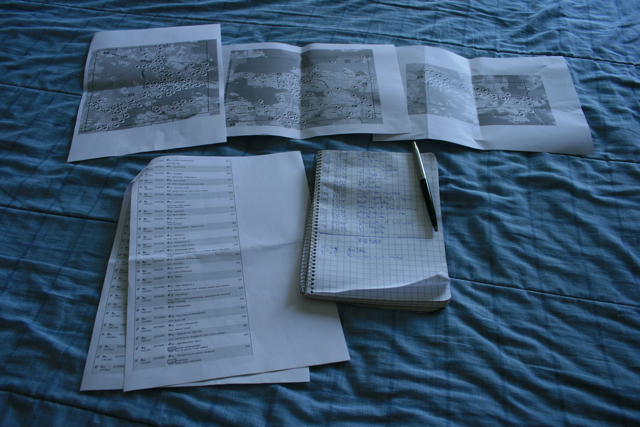 Planning on paper is worth 100 gps devices. Our original goal was to find 100 caches. After some Googling we found out bigger records. In USA a group of cachers had found 413 caches in 24 hours. We mentally raised the ultimate goal to 200. We realistically hoped for 150 finds. We eventually found 130. Considering the routes we took and the terrain we travelled on foot and a thunderstorm we can not be disappointed. No group would have been able to travel and find that exact set of caches much faster than that. Finding more caches would have required to drop most of the caches which required walking more than a hundred meters from the parking area. We did walk a lot. We walked in woods and climbed several hills with rough terrain. There were some drive-bys but not so many. Started the journey - backup what ever you can. We started our journey by meeting at Peetu’s house with a barbecue, and planning where to start – which would be the first cache to be found. 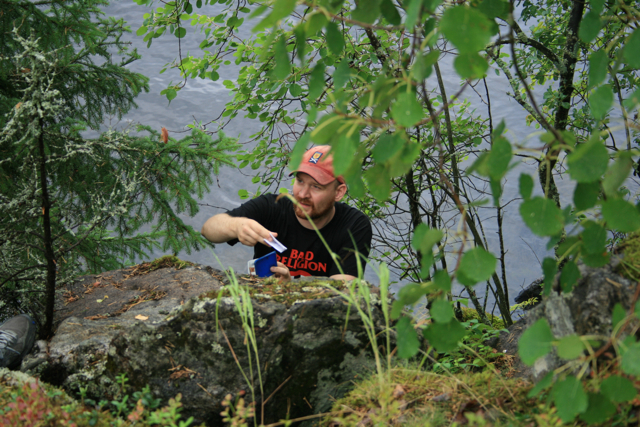 Peetu needed to drop a TB to Janakkala, so we did a warm-up there, finding two caches. 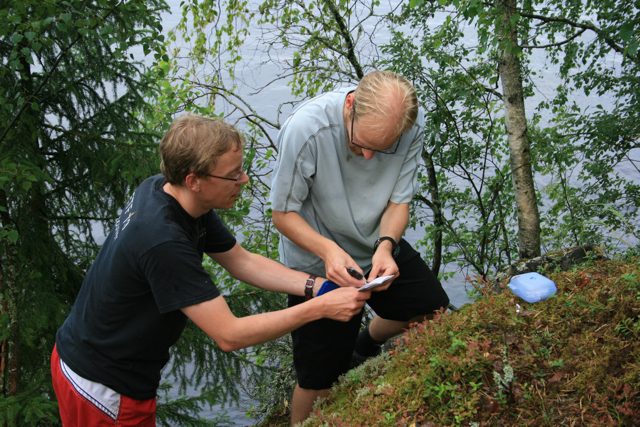 Pre-GC24 T=3.0 caching in Janakkala by Heikki. 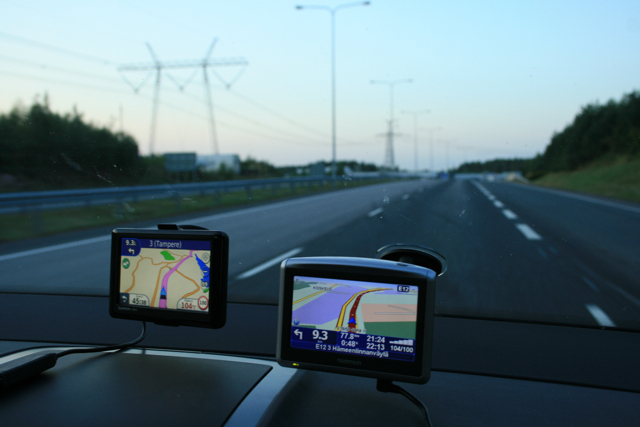 The first GC24 cache was to be near the Ikea of Tampere. We were in the area at about 23:30 on Friday. We planned the approach carefully and parked our car as close to the cache as possible. Eventually we were able to run to and back from the cache and drive to the second one in just five minutes. No much time for anything else than thinking on how to go fast forward. We were able to run through nine caches during the first hour. And it was dark all the time. Then we just kept on going. Find a cache, run to car, write down the find and the time to a notepad. Enter the next one into two car navigators: Garmin and TomTom, and into Garmin Oregon, Garmin Colorado, an iPhone and a Nokia. Then driving. Then parking quickly, opening and closing doors and running into darkness. Another find… Then came the daylight and we could drop the flashlights. Then it was time to sweat even more. Feeling a bit handicapped finding a cache in a handicapped sign on Saturday at 6 a.m.
First we cached south of the city of Tampere. 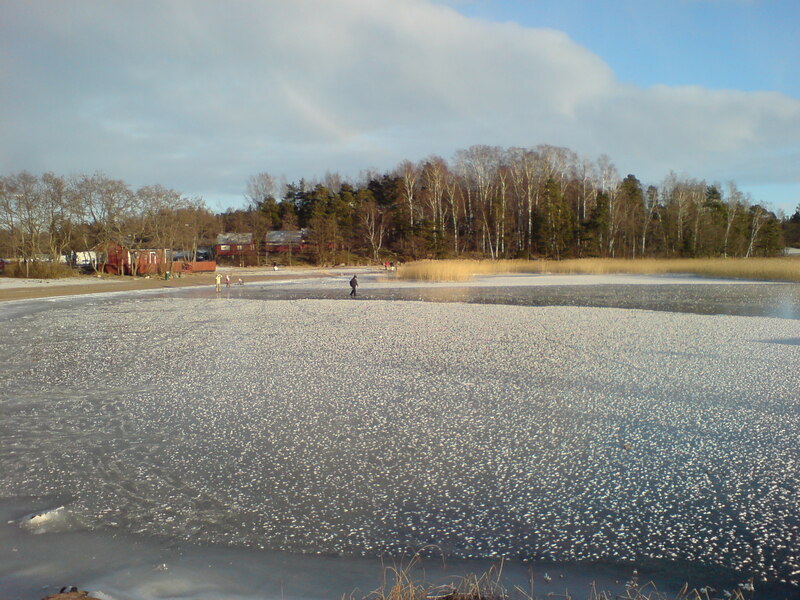 Then we moved towards Kangasala. Then back to the city centre. Then a lunch break. 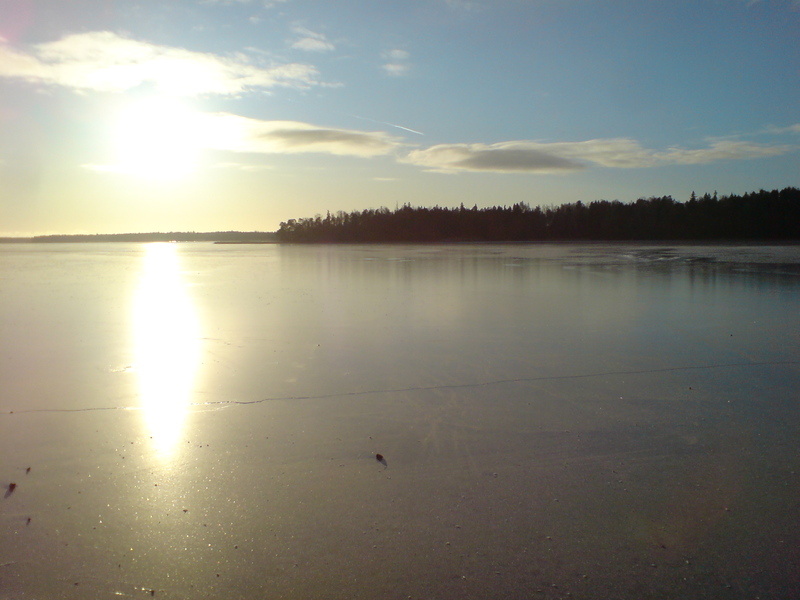 Then to Pispala and Ylöjärvi. Then came a massive thunderstorm. That cost us probably 6-10 finds. We were waiting in the car for the storm to stop. It didn’t stop quickly. 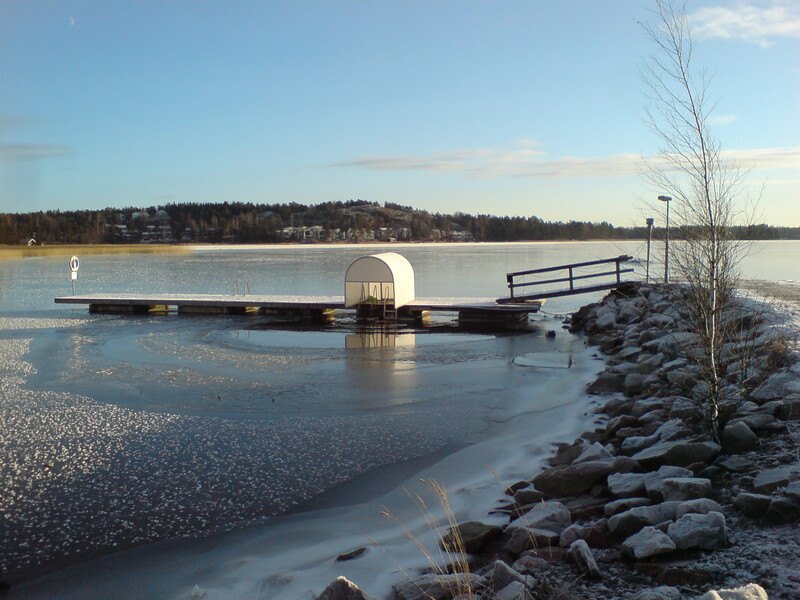 Then we decided to move a bit farther away, to Pirkkala area, hoping the storm would not be there. There we could have a few finds. Find #100 - Heikki having the honor of finding. Logging number 100 in 18 hours! We found the cache number 100 at around 18:00. We could see a lot of debris on the roads and fallen trees, one in the middle of a roof of a house. We then moved back north, to Vuorentausta area. We kept on going, finding about 6-7 caches per hour. 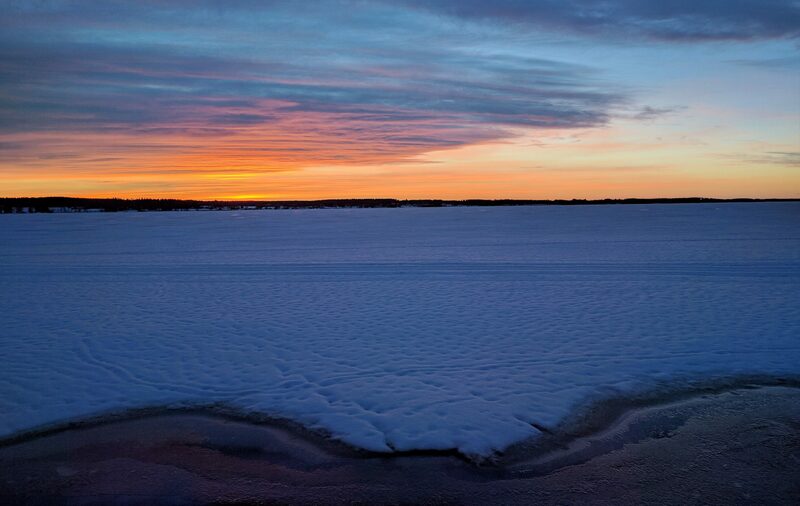 We moved north to Ylöjärvi, then towards Lielahti and north from there. 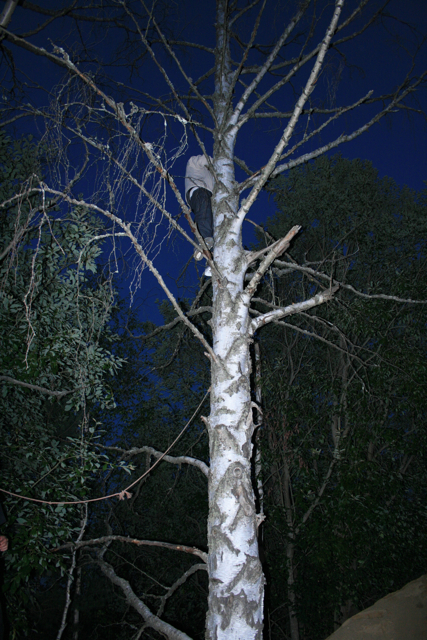 We found the last cache, number 130, about 15 seconds before the midnight. Altogether we drove about 270 km and walked probably 30-35 km in various terrains ranging from climbing rocky hills in the middle of the night to walking in the middle of Tampere in the middle of the day. I could not be more thankful to my fellow geocachers Petri, Heikki and Jimmy for sharing this great experience. A special thank you for Petri for driving us tirelessly around with his car and safely back home. Bought the EF-S 17-55 f/2.8 IS USM lens for my EOS 400D yesterday. Here are some first tests from the neighborhood. All but one (of the traffic lights) are shot from free hand, no tripod or support of any kind.